Miami and Fort Lauderdale are two of the world's premier cruise ports. However, even though they are only about 30 miles apart, it is not easy to go from one city to the other. As a practical matter, traveling between these cities has meant traveling on one of the busiest sections of highway in the United States - - I 95. Now, however, there is a new rail connection between Miami and Fort Lauderdale that is quick, relatively inexpensive and convenient. Thus, people sailing on a ship out of Miami can now easily spend the night before in a hotel in Fort Lauderdale. In addition, suppose you want to disembark a cruise ending in Miami and then take another cruise that same day on a ship sailing from Fort Lauderdale. It is now practical to do so. 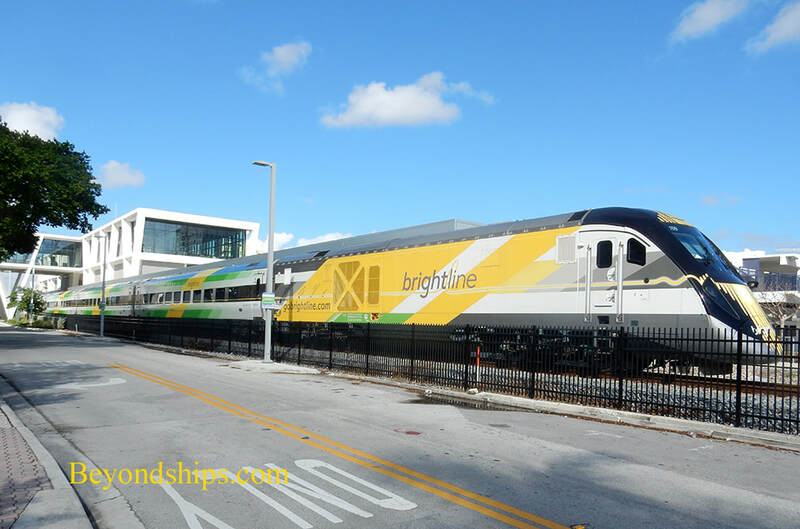 Brightline is part of All Aboard Florida, which is part of Florida East Coast Industries. It is the only privately-owned, operated and maintained passenger rail service in the United States. 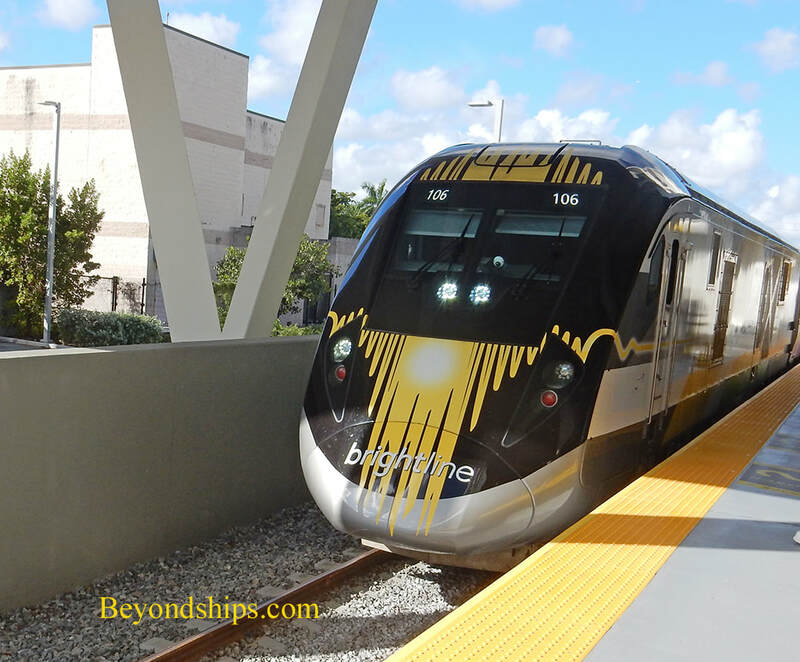 As it stands now, Brightline provides service between Miami and West Palm Beach with an intermediate stop in Fort Lauderdale. The line plans to extend its service up to Orlando by 2021 and later to Tampa and perhaps to Jacksonville. For the connection between Miami and Fort Lauderdale, Brightline uses a pre-existing Florida East Coast Railway corridor used by frieght trains. The tracks have been refurbished so as to be able to accommodate high speed passenger rail service. In addition, Brightline has built new state-of-the-art stations in Fort Lauderdale and Miami. These are not imitation bus stations but rather large facilities that look and like airport terminals. Indeed, the Miami station is be part of a multi-acre residential, office and shopping complex. There has long been rail service between Miami and Fort Lauderdale. Amtrack operates two trains a day between these cities. However, whereas the Amtrak stations are on the fringes of these cities, the Brightline stations are in the hearts of both cities. In Fort Lauderdale, the station is within walking distance of fashionable Las Olas Boulevard, the River Walk and Fort Lauderdale's museum area. In Miami, the station is downtown, a few blocks from the American Airlines Arena, Museum Park, and Bayside. It is a local taxi ride to the cruise port on Dodge Island. Brightline is also quick. It takes about half an hour to go between Miami and Fort Lauderdale. In addition, passengers have a choice of some eight different departure times in each direction running from morning to the late evening. The trains are new, built for Brightline by Siemens in California. The coaches have ergonomic seating. You can check your baggage or carry it aboard and put it in in the overhead racks or in the luggage area of the coach. 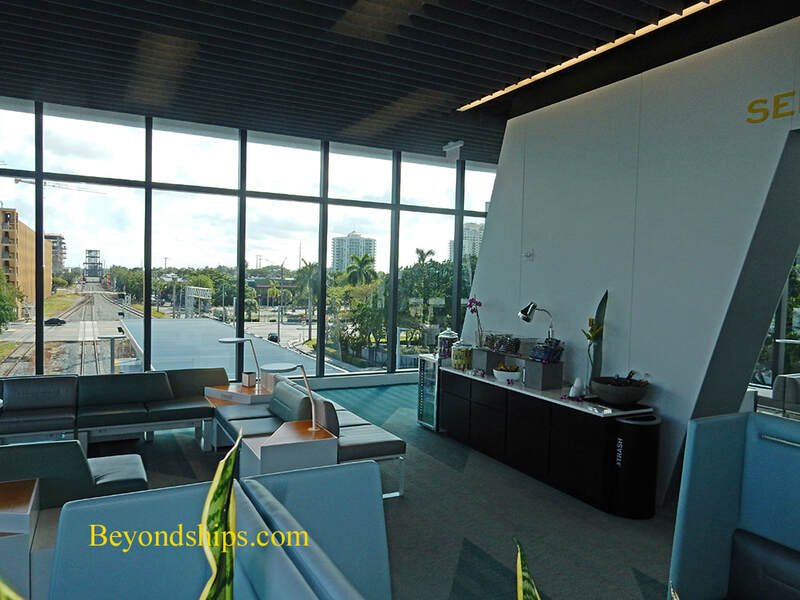 Above: The Select Lounge at the Fort Lauderdale Station. 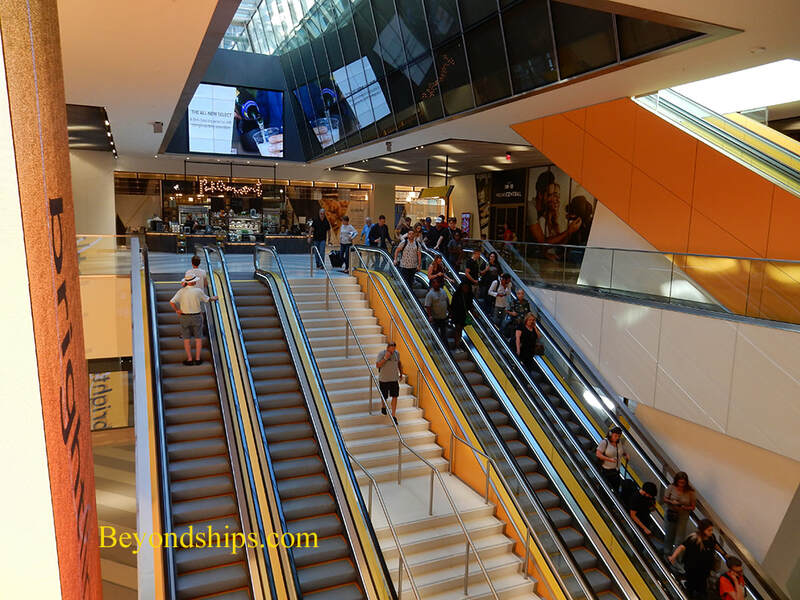 Brightline offers three categories of tickets. Smart Service is the basic service. With Smartplus service, you get a slightly larger seat, a complimentary snack and a beverage such as beer, wine and soft drinks. Select is the luxury service with its own waiting lounge, complimentary beverages and snacks. All three classes have access to free wi-fi. The fares are not expensive. As of this writing, they range from about $15 for the basic service to $30 for the luxury service on weekdays. There are various promotions. We were also impressed by the attitude and organization of the Brightline employees. The people were friendly and happy to be of assistance.